Finished Double. Pretty fantastic series. Bit of a slow start, but once it starts picking up it really gets going. Glad they went for the full on happy ending instead of the bitter sweet ending things seemed to be leading too. Next up, after a highly beloved, fun, happy Rider series, I figured why not go the opposite direction? It's time to experience the infamous Kamen Rider Faiz! Though I think that was sort of the point,..the 'message'...so to speak. 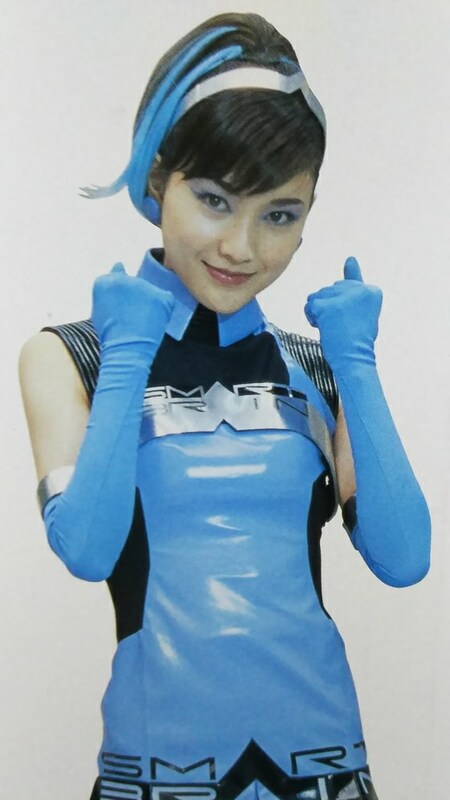 It's not lost on me that the Henshin device is a communication device. The blue lady/smart lady I really liked for some reason,...she was pretty,..but more importantly...she's a complete mystery. Her character is never explained. That drove me nuts a little bit. Then in the Faiz movie,..you really see what she's capable of. ..and still she's never explained. Not sure what to watch next. 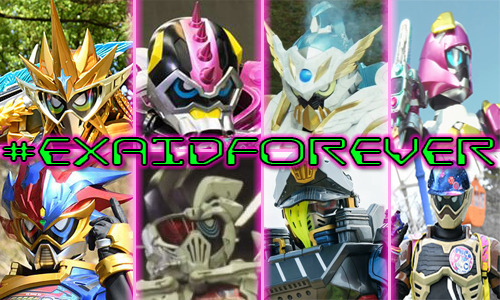 I'm torn between KRider Black, Kabuto, or OOO's. ..or maybe Den-O,...or Decade......decisions decisions. Last edited by KaijuUltraFan; 06-12-2018 at 09:20 PM..
whoa, I just wiki'd Smart Lady to see if her character got more background than I saw on the show,..they mentioned she was the same actress who played Nanako on Ryuki. I started the first 3 episodes of the Original Series and loving it so far. I like the action and how it is a bit serialized right now. I can't wait for more. I started Kabuto last night, I'm about 4 episodes in. Liking it so far. It's reminding me of Agito, which I really like. I don't like that it's doing the 'reflect sunlight directly at the camera' thing, like Kuuga and Agito did, (I actually really hate that and find it incredibly annoying),..but the show itself and the characters definitely have my interest. Having gone through all 7 other Heisei Phase 2 shows - as well as being completely caught up on Build - I'm going through Ex-Aid, albeit taking my time for now. 10 episodes + Heisei Generations in, and it's alright so far. Nothing amazing, nothing bad either; just suffers from the problem most rider shows so far have for me -- takes a while for the good stuff to REALLY get going. It's why I've been loving Build so much. Its pacing is downright masterful. I'm a few episodes into Gaim and don't know if I can watch any more. I see that so many people like it, yet the stupid fruit theme costumes with dumb "fruit arms" that every rider has and dance crap puts me off. I grew up in the Showa era and liked W as the stories were good and the rider outfit is like a modern day Showa rider style. It's nice and clean that's like a modern OG KR costume. I also love Amazons. I also tried watching Den-O and Fourze and couldn't watch more than a few episodes. I'm also watching Build and it seems more up my alley. Last edited by HattoriHanzoIII; 06-21-2018 at 06:30 PM.. Watching Kabuto,..really liking it. He's an odd character but an interesting one. This show just grabbed the wheel, yanked it sideways and steered into an embankment. I went from watching a weird little soap opera with weird people doing crazy super-hero things,...to watching Iron Chef? Oh my homey Jebus,..what the hell just happened? I want to get back to intrigue, suspense, action, RIDER KICK!!! !.....I'm watching people have a cooking competition,...again. I love you Kamen Rider but sometimes you switch gears and I don't understand what the hell you're doing.